Radio Bismarck Mandan has closed on its purchase of Variety Hits “105.9 Bob-FM” KKBO and flipped the station to Country “105.9 The Rig“. KKBO becomes the fourth Country station in the Bismarck market joining Clear Channel’s combo of market leading 1130 KBMR and “KQ 94.5” KQDY along with Townsquare Media’s “US 103.3” KUSB. 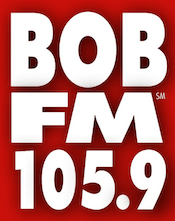 The Bob-FM audience is being directed to new sister Classic Hits “Mojo 107.5” KXRV.